Superdrug Vitamin E SPF 15 Radiance Moisture Cream is an excellent product, but it is also poorly labelled and marketed. According to Superdrug, Superdrug Vitamin E SPF 15 Radiance Moisture Cream is simply a face cream. What I purchased (£2.99 for 50ml) and used was a very shimmery solution. 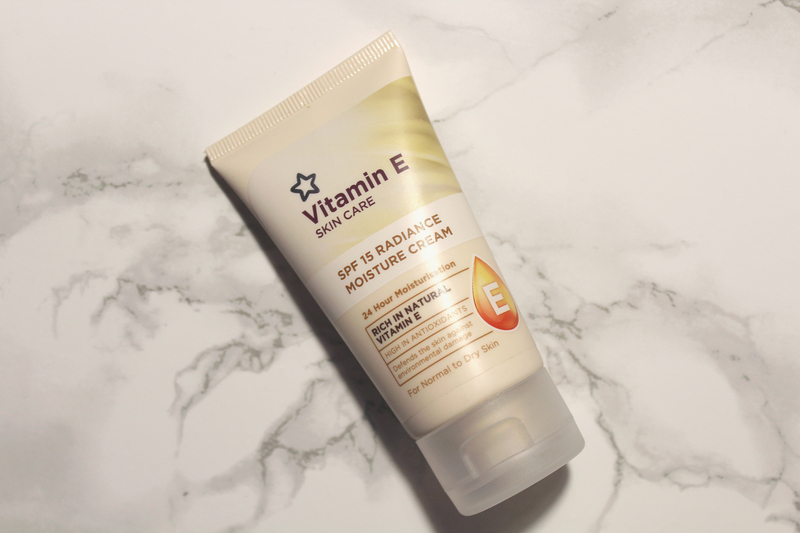 Rich in natural vitamin E and high in antioxidants, Superdrug Vitamin E SPF 15 Radiance Moisture Cream is said to help shield your skin against environmental damage and premature skin ageing by combating the harmful effects of free radicals. Formulated for normal to dry skin, it contains a skin conditioning multivitamin complex comprising vitamins A, B, F and H as well as Horse Chestnut extract. 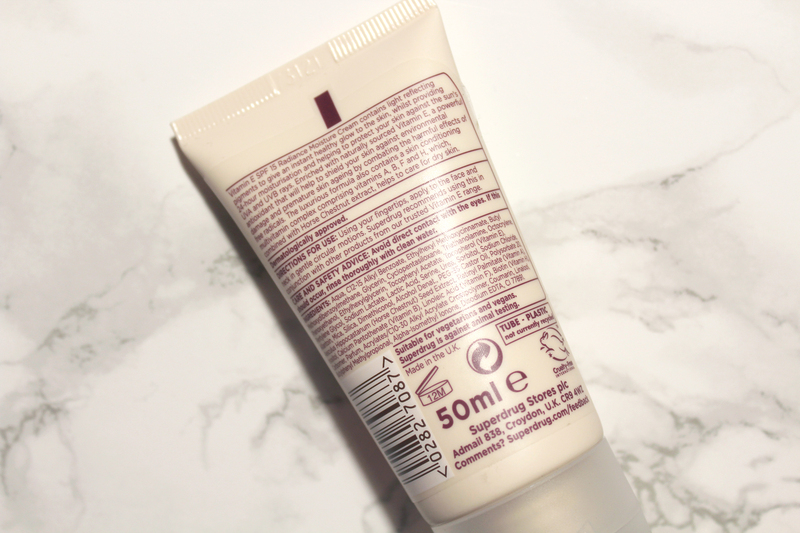 My experience with Superdrug Vitamin E SPF 15 Radiance Moisture Cream has been positive as well as negative, amazing, hilarious and embarrassing. 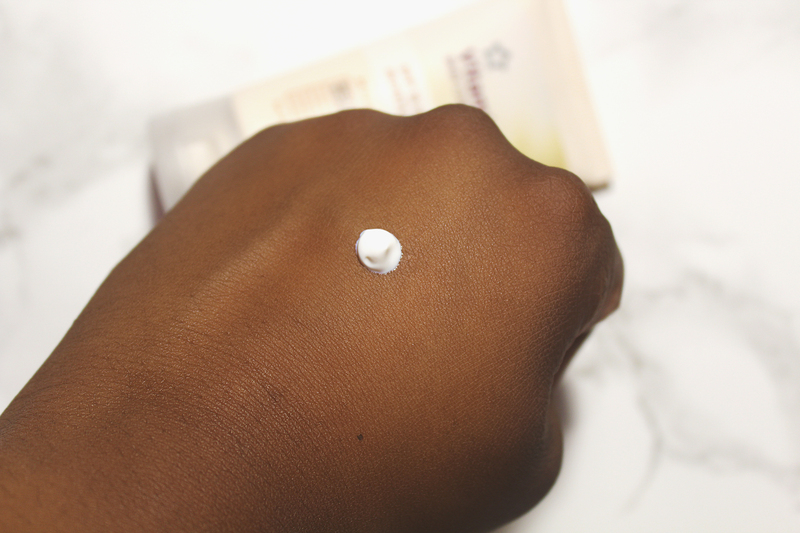 Superdrug Vitamin E SPF 15 Radiance Moisture Cream has a light nutty scent and a little goes a long way. Superdrug recommends applying it to your face as well as your neck. I followed the advice and regretted my decision. Superdrug Vitamin E SPF 15 Radiance Moisture Cream left my face and neck gold. Yes, gold! It looked as if I had covered my face in a gold highlighter. I was mortified. Is this what Superdrug deems as radiant? I looked silly and I was already outside when I finally noticed my face. The shimmer is subtle in doors but blinding in daylight. I was forced to rush home and wash my face. I am of a dark complexion so I am going to assume this was not developed with dark skin in mind. However, Superdrug Vitamin E SPF 15 Radiance Moisture Cream does look brilliant against my chocolate brown arms and legs. It is a great body shimmer and highlighter. It also moisturises really well and its consistency is quite fluid but also creamy. I used it on my arms and received many compliments. 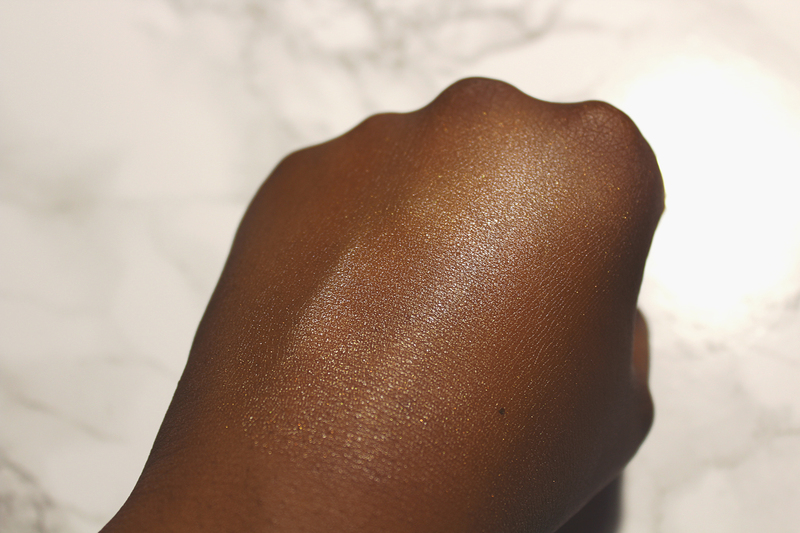 It made my skin flawless and golden. It is now my designated body shimmer; I will be fully utilising it this summer! 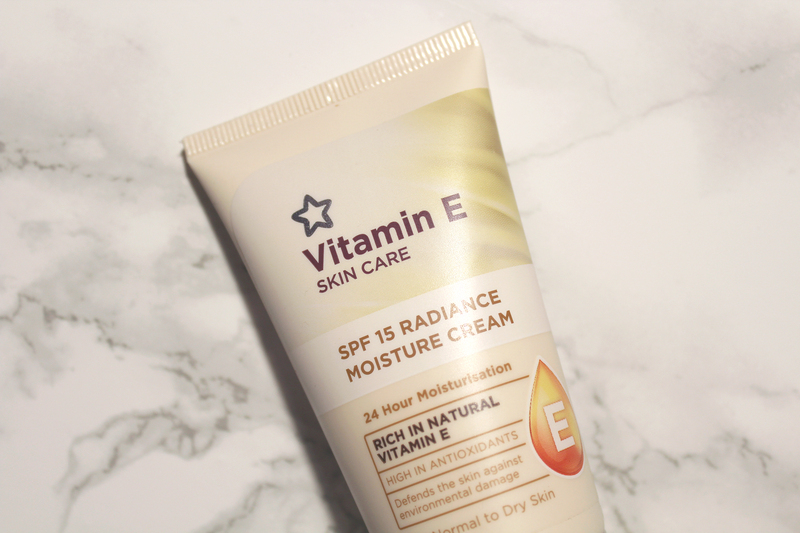 Superdrug needs to rebrand Superdrug Vitamin E SPF 15 Radiance Moisture Cream. It is superb as well as affordable but it is also too bold for your face and neck. If you do purchase it, use it on your body only; trust me.